I need for my workplace injury." 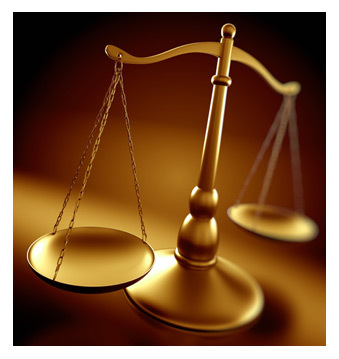 We specialize in worker's compensation, social security disability, and business law. We are here because of our attentiveness, expertise, and professionalism in working with our clients to achieve the respect and success they deserve. With decades of established experience and success, we provide legal aid for workplace injury and negotiate NYS worker's compensation settlements. Accidents at work may include falls and unsafe products or machinery. Sossen is adamant in acquiring the worker's compensation you are owed. We are skilled in social security law and are diligent representatives at disability hearings to ensure that our clients are receiving what is appropriate to what they have earned. We are discerning experts in personal injury and offer the purposeful legal aid to assist our clients in rebuilding and improving their lives. Personal injury includes automobile accidents, accidental falls, unsafe products, construction site accidents, including falls from ladders, scaffolds and roofs, and incidents causing fractures, burns, scars and back injuries. We are highly knowledgeable and perceptive in business law, and offer the legal advice necessary to create strong incorporations, contracts, and shareholder and partnership agreements. Our specialities extend to criminal and traffic representation, DWI, misdemeanors, felonies, family law and divorce, and child support. Whichever the case, we approach it thoughtfully and engage with our attentive and aggressive legal aid. R. Robert Sossen, Jr., Esq. Founded in 1976, Attorney Sossen has built his practice on the premise that he best serves his clients by providing them with an understandable explanation of the complexities of the legal system and how to maneuver their way through that system to achieve the best possible result. While emphasizing the representation of injured workers’, Attorney Sossen also handles personal injury, matrimonial, small business and social security claims. Attorney Sossen’s client-centered personal approach allows his clients to feel comfortable and appreciated. His focus is on establishing a personal relationship with clients as he explains their rights empowering them to become knowledgeable about their case. Attorney Sossen is an active member of his community outside of his practice. He has resided in the Utica area for more than forty years. He has a passion for photography and enjoys spending time with his wife, children, and grandchildren. We'll do our best to respond to your message as soon as possible.